A woman runs into conflict with her brother when she inherits her abusive father's farm. With her 2010 documentary The Arbor and 2013 narrative feature debut The Selfish Giant, director Clio Barnard laid down a claim as the natural successor to such chroniclers of British working class life as Ken Loach, Mike Leigh and Shane Meadows. 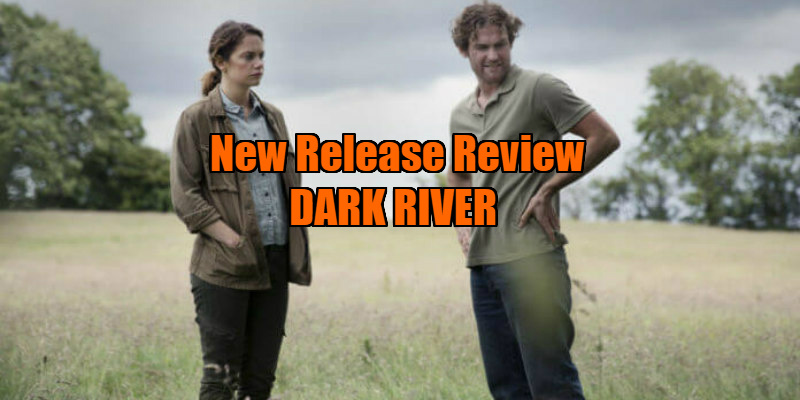 Sadly, none of the warmth and genuine affection Barnard has previously displayed for her fictional and real life subjects is present in Dark River, a film that plays as exploitative at best, tacky at worst in its exploration of a dark taboo. Ruth Wilson takes centre stage as Alice, a thirtysomething woman who cuts short her globetrotting career as a... freelance sheep farmer (??? Apologies for my lack or rural terminology, as few movies have made me feel like such a city slicker as this one) when her father dies, returning to the family farm and immediately running into conflict with her brother Joe (Mark Stanley). Supplementing running the family sheep farm with truck driving work while taking care of his ailing father has taken its mental toll on the worryingly edgy Joe, who still holds a grudge against his sister for leaving him to run things when their mother died. Upon entering her old homestead, Alice becomes anxious, and through flashbacks we're shown how she was subjected to sexual abuse at the hands of her father (Sean Bean). 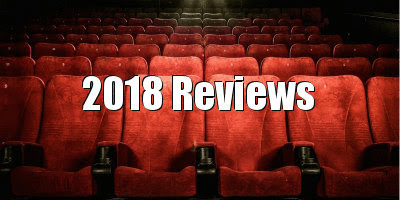 With Alice unable to forgive her brother for refusing to stand up to their father, the two enjoy an abrasive and uncomfortable reunion, but attempt to put the past behind them and work together to make something of the farm. Tensions rise once again however when Alice applies for sole tenancy of the farm. The sexual abuse subplot is handled so superficially here that it's borderline offensive, adding little to the drama but a cheap extra layer of tension between the sibling protagonists. Rather than allowing the audience to put two and two together as our questions are answered in an organic fashion, Barnard employs flashbacks to reveal Alice and her father's past upfront. Wilson is a strong enough performer to convey the lingering psychological damage inflicted by her father's physical abuse without having to spell it out to us in flashback form. Remove the abuse element and there is still plenty of material and animosity between the protagonists here for a potentially effective and dramatic exploration of rural isolation and sibling resentment. The movie's most successful scenes are those shared between the brother/sister dynamic when the past is kept ambiguous, yet I can't help think they would have been far more rewarding if we didn't know from the off why so much anger exists between them. British cinema is currently benefitting from a new wave of social dramas that transfer their action from the usual urban council estate setting to the less cinematically explored fields of rural England - Chicken; God's Own Country; The Levelling - but with Dark River, the locale feels like mere decoration for a film that parks its caravan on the edge of town for a discount vacation in other people's misery. 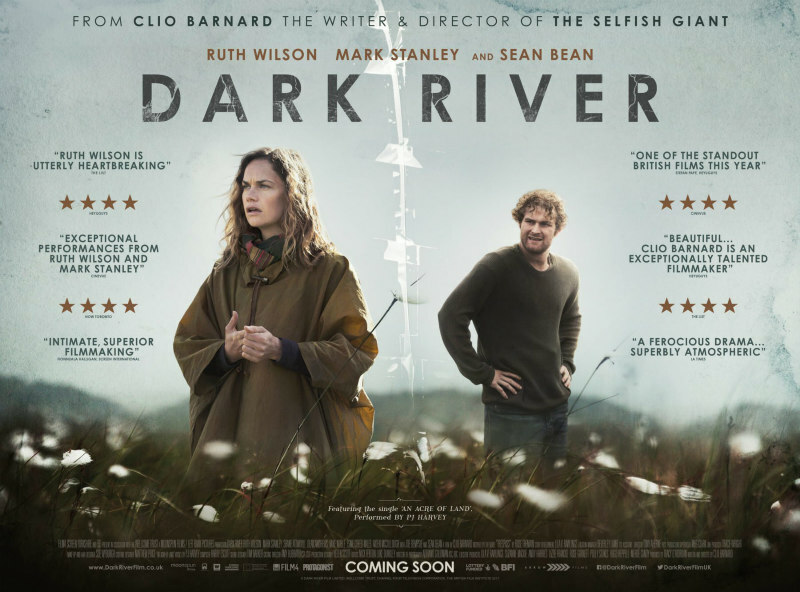 Dark River is in UK/ROI cinemas February 23rd.